Selecting an EHR can be daunting. Your EHR is responsible for sensitive data across all areas of your practice - that’s a lot of responsibility for one system. It’s even more responsibility for those tasked with choosing the right system. To make matters worse, it’s almost impossible to find accurate information surrounding EHR cost, how many employees actually use the system, and the time it takes to choose a system. We’ve gathered and analyzed data from 336 EHR projects active in the last year to provide an accurate view of what you can expect when selecting a system. Our 2019 EHR project report provides a comprehensive overview of timeframes for selecting EHR, reasons for implementing a new system, and average budgets. The time frame for selecting an EHR is only 16 weeks for most organizations. However, practices with more than 11 physicians spend, on average, an extra 7 weeks selecting their system compared to smaller practices. This variance could be due to a number of factors, larger practices may need to consult a larger variety of stakeholders than solo practices, or have complex requirements across multiple specialties resulting in a longer selection process. Given the introduction of Meaningful Use, it’s surprising that there is a significant percentage of practices not currently using an EHR. Practices with less than 10 physicians were more likely to be replacing an existing system. In fact, 55.94% of practices with between 2 - 10 physicians were looking to replace their current EHR, whereas only 23.88% of practices with more than 11 physicians were replacing an existing system. A possible explanation for this discrepancy is that smaller practices may need to liaise with other practices across specialties, thus requiring a greater degree of interoperability than larger practices who may already have the specialist knowledge in-house and not need to share information to other organization's systems as frequently. The most popular reason for implementing an EHR was to increase efficiency, which dominated as the top reason for implementing with 39.5% of practices saying this was the driving factor for selecting a new system. A significant number of practices also sought an EHR to gain greater functionality, as well as to support future growth. The most common question asked about EHR has to be: how much does EHR cost? Well, according to our EHR research, you can expect to pay around $6,200 on each user of your system. This is the average budget per user across practices of all sizes over a five year period. Practices which aren’t currently using an EHR spend, on average, $3,428.57 on each user of their system. Practices already using an EHR spend almost double this amount. It’s possible that organizations implementing EHR for the first time are unaware of hidden lifecycle and implementation costs, and haven’t factored these into their budget. 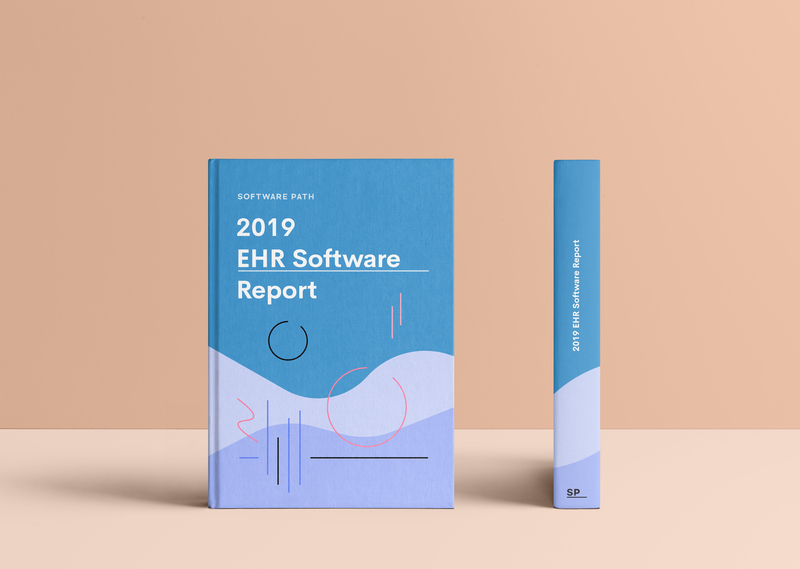 Read more interesting statistics and gain a full overview of the EHR market by downloading the full Software Path 2019 EHR Software Project Report.